You can create a job ad in many different media. Traditional job advertisements were text. An alternative approach is to lead with an image (there is a whole world of job advertising via Instagram). Then there’s video (companies like Sparc are creating innovative tools for this) and finally, the time-tested medium of sound (radio ads remain effective). Have we exhausted the options? No, there is one more medium for writing a job ad: a game. A game-based job ad is usually some kind of fairly simple puzzle. 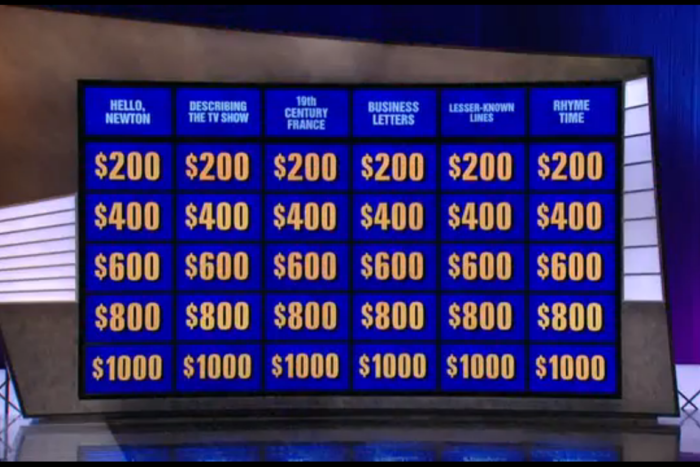 For example you could have a Jeopardy! like game for someone to show off job knowledge, or an “Arrange the tiles to create a picture” game resulting in an image that’s relevant to your brand. According to Tamer Kafla, CEO of gaming provider Klujo, Facebook is the best place for these ads. Facebook is chock full of little games because people like doing them; you’ll find them with headlines like “Only 10% of Americans can name all these countries.” People like sharing their results and if there is a series of games, they like watching their cumulative score go up. It may sound hokey, but it gets you in front of your audience. The game grabs attention; what you do with it depends on your needs. The simplest approach is just to push the brand and lead people to your career page. A more direct approach is to create an ad for a specific job. Finally, you could potentially use the game not just to attract attention, but use the results as a test of skill or knowledge. To implement this medium of job advertising you need to use a platform to run the game and a creative agency to come up with appropriate content. The best jobs ads attract the strong candidates and deter the weak ones. With games we have a new medium for ads that potentially also provides some insight on candidate skills. Recruiting is a competitive sport. You need to keep looking for anything that will give you an edge. Games are an unexpected tool that have the potential to provide an edge for some kinds of recruiting. The question is whether your recruiting function—which is normally hugely rushed to just fill vacancies—has the capability to try out new tools.